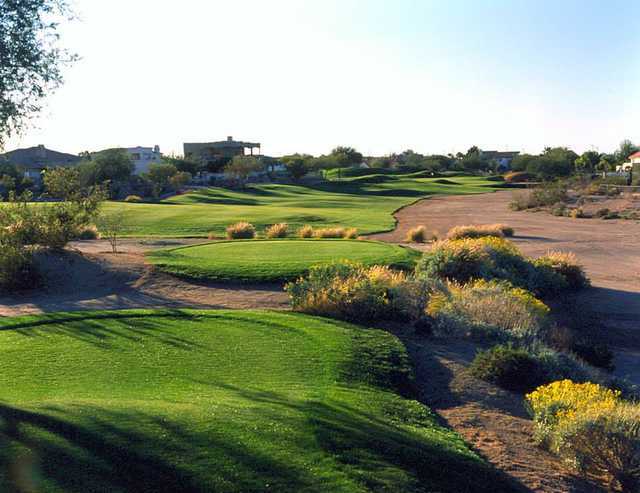 Red Mountain Ranch , Mesa , Arizona - Golf course information and reviews. 8/10 - Challenging layout in very good condition. True desert golf - scenic, washes, native plants, elevation changes, lots of mounds and uneven lies. Greens in great shape - some undulations, not too fast, held incoming shots pretty well. Must keep the ball in play - easy to lose balls in the desert terrain. Hole 15 is one of the finest par 3's you can find - par is difficult to achieve. Pace of play excellent in the summer, well maintained facilities. 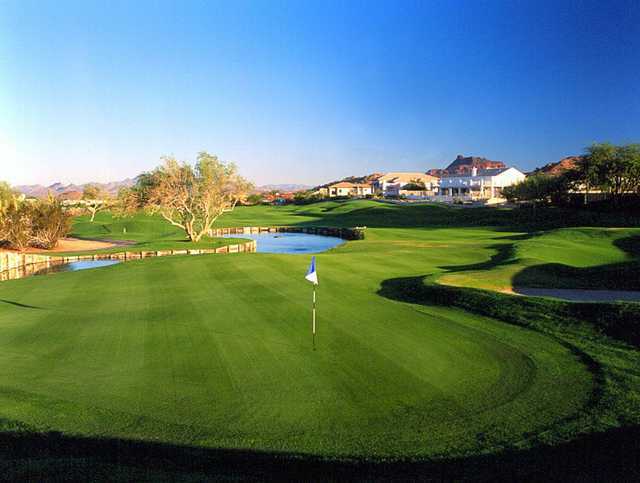 One of the best courses in the East Valley. 5601 E. Hermosa Vista Dr.
Add a course review for Red Mountain Ranch . Edit/Delete course review for Red Mountain Ranch .